Sounds like my kind of fun, too! Hi! Just found you via Create with Joys WW and I've just linked up and followed you on Bloglovin' and G+! Hope you'll stop by and return the ♥! 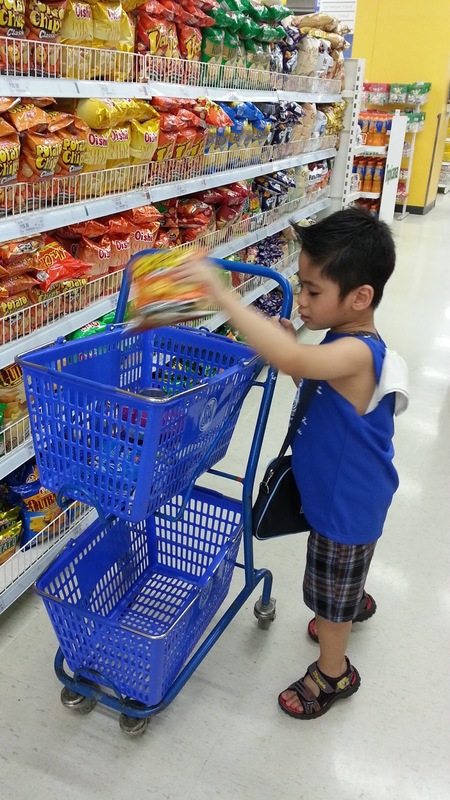 He looks like a great shopper! My kids are great alone, but watch out when they are together. They get each other wound up. Wow those chips are really packed in there. It's so cute to see kids shopping! Neat picture. 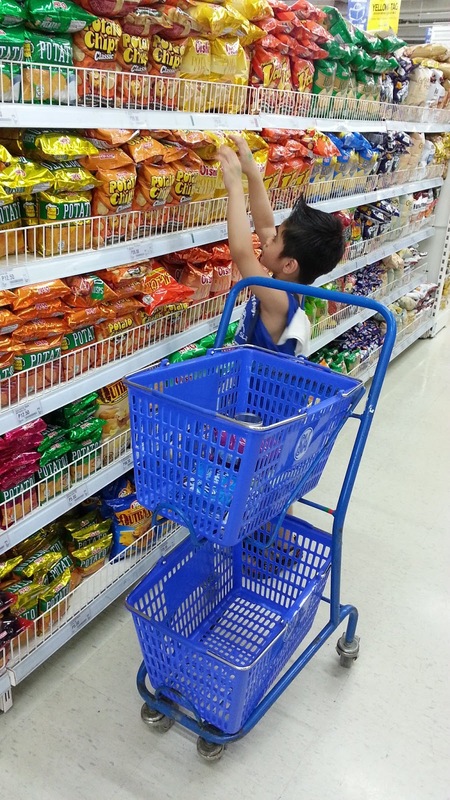 Love places that have grocery carts that younger ones can push. Oh I definitely learned to shop early and from my Thrifty Mom and my almost thrifty Dad. Dad was more fun! I joined in the linky and am following too. 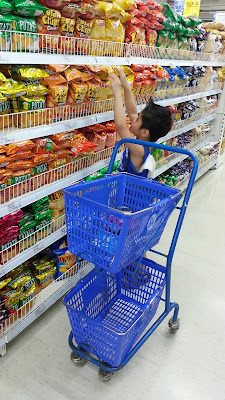 He is getting good shopping experience early. He will be an expert when he is an adult! :) Thanks for hosting. Love retail therapy when stressed too! At least he won't go hungry. It looks like your little man knew exactly what he was going for. 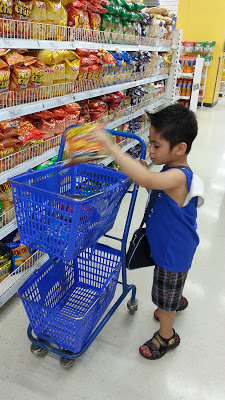 :) Thank you for sharing his shopping trip with me. I'm a day late! Love the independence! 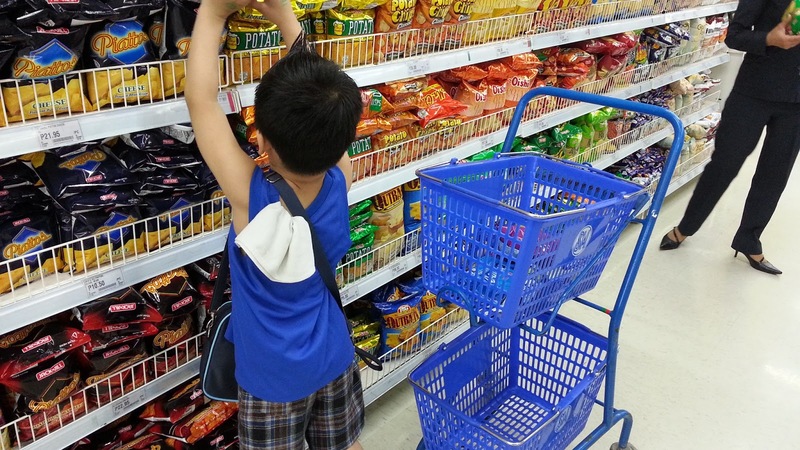 Is that an entire row of chips?